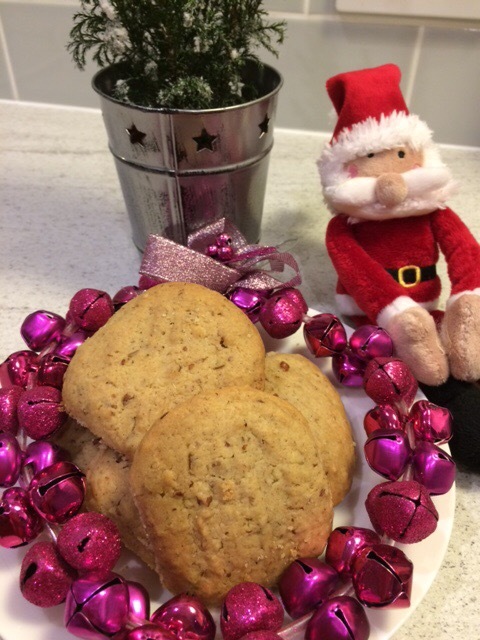 After everyone has finished stuffing themselves from a hearty Christmas lunch, it’s always great to have homemade biscuits for snacking on later while drinking tea (or coffee). 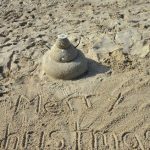 When there are so many things to do and to prepare in the lead up to Christmas Day I really do appreciate quick, easy and delicious recipes. 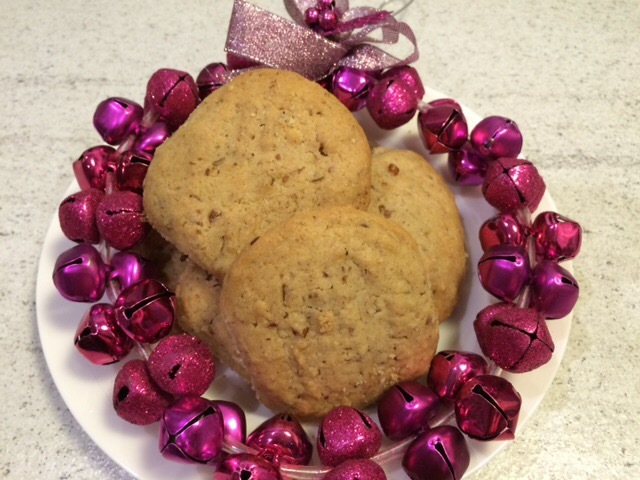 So these pecan nuts biscuits are just perfect! Start by leaving out the required ingredients to reach room temperature. When you’re ready to start baking, turn on the oven at 160 – 170 degrees celsius. Lightly toast the pecan nuts in the oven for about 5 minutes or so. 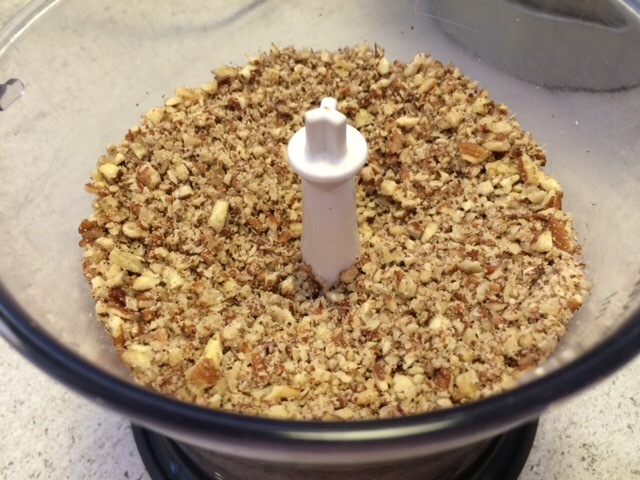 Pulse grind the nuts in a food processor. Make sure to mix it through so that all the nuts get ground up. 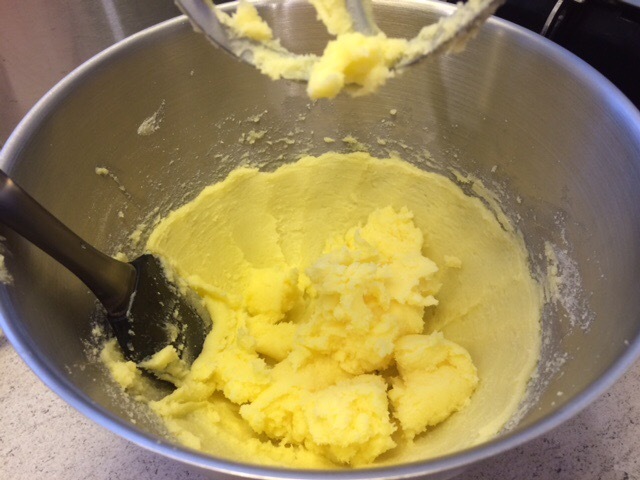 Mix the butter and sugar till creamy. Add the eggs, vanilla and water, 1 at a time while mixing it through. 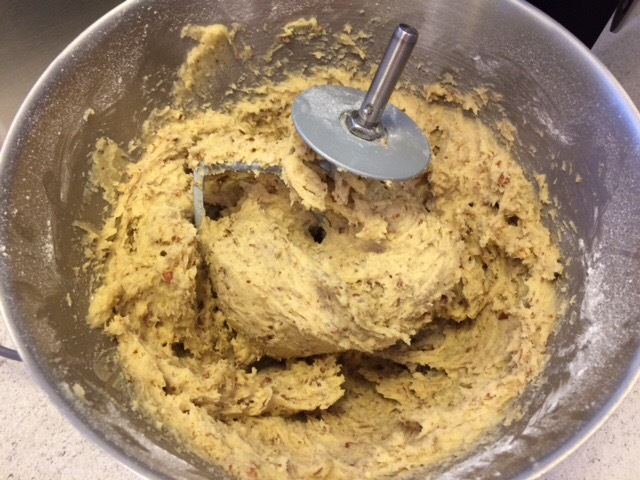 Next, add the flour, salt and bicarb, mix till combined. And finally, add the ground pecan nuts and mix through. 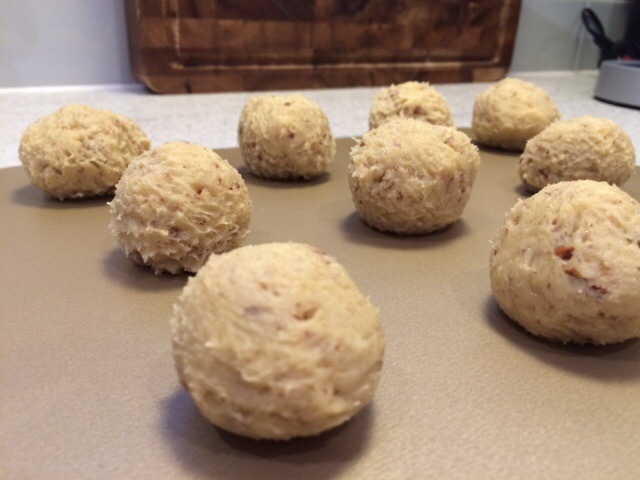 Form the dough into 1 inch (2.5cm) balls and press down on a greaseproof sheet. I used a fork to do this. Leave sufficient space between the balls as they do tend to spread from the butter. Bake for about 17 – 20 minutes. When the biscuits are done, transfer them to a wire rack and leave to cool. Store the biscuits in a metal tin to keep the biscuits fresher for longer.